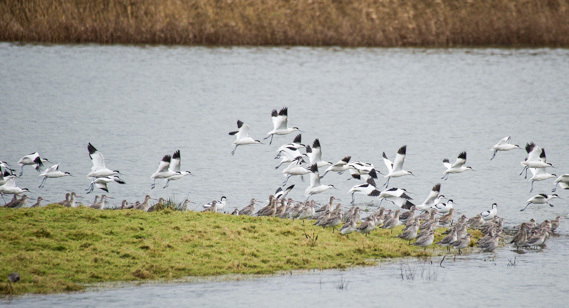 Second day in the hide – 500 avocets, black and bar-tailed godwits and dunlin – the hide tide had pushed them all onto the Bowling Green Marsh on the Exe estuary. 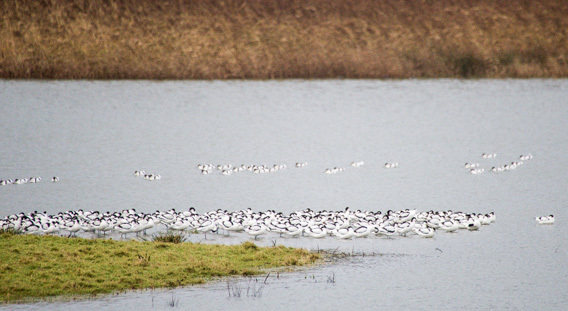 I was in the hide early enough to watch the avocets arrive, they came in three pulses. 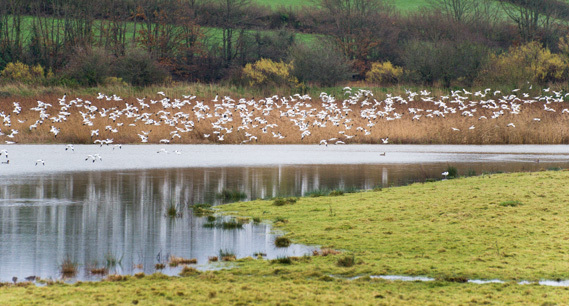 High tide was 8.30am and they had all amassed on the marsh by 8.15. Unless anything ‘spooked them’ they were happy to stay hunkered down at the end of a small grassy spit. 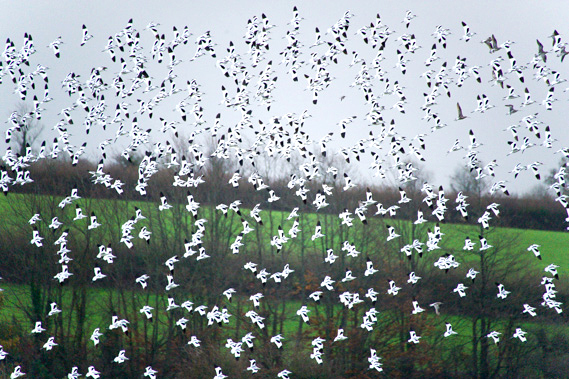 On lifting the forms created by the pied wings were both ordered and chaotic, at times almost Klimt like and at others very ‘non photographic’ and more painterly. 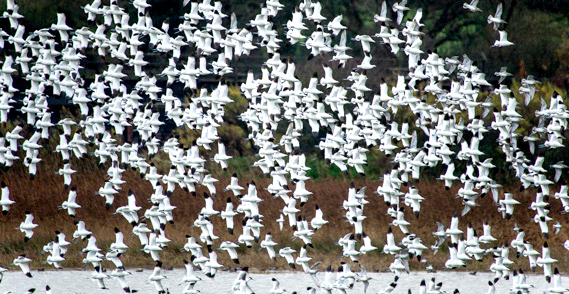 They left about three hours later, again in three groups, to spread out across the emerging mud flats where the Clyst meets the Exe. I spent the afternoon following them onto the flats. They fed in small spaced out groups, very different to the amassing godwits which created quite a spectacle as they tossed and tumbled every now and then far out on the receding tide.